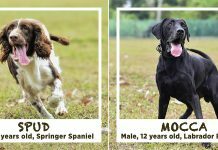 If you’re a Tampines resident, chances are you heard the buzzing of a large crowd from downstairs on Sunday (20 Jan). No, it wasn’t some big, special pasar malam that operates in the morning. But it was something that sparked joy all the same. 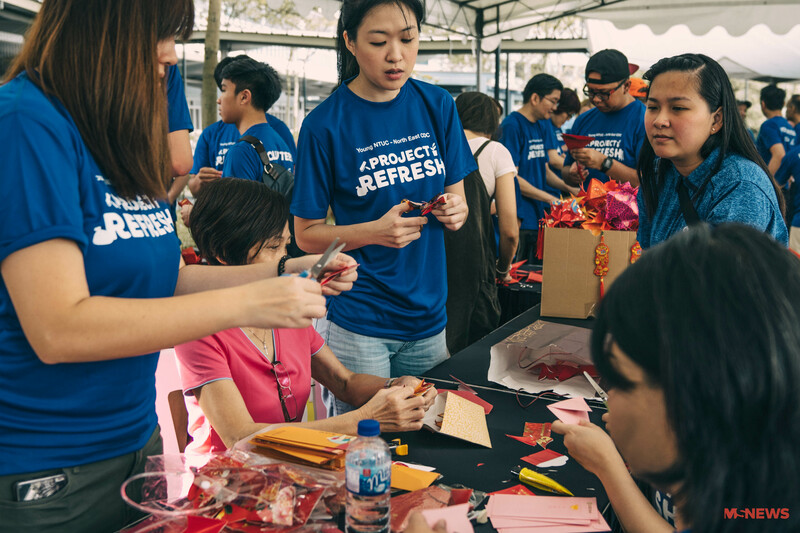 All across Tampines, blue-shirted and pink-shirted volunteers gathered by the hundreds under HDB blocks for a community event called Project Refresh. As the name implies, the project aims to ‘refresh’ homes – specifically those of low-income elderly people, some of whom live alone. 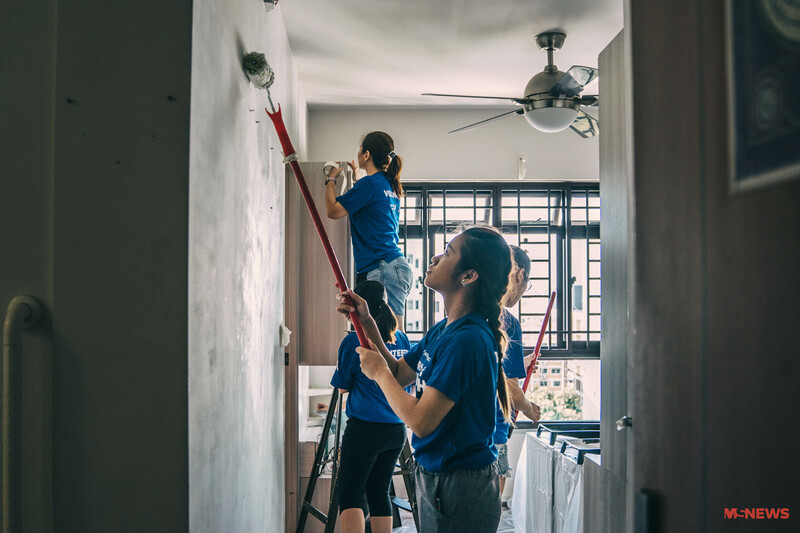 Volunteers, from students to retirees, swept, mopped, painted, decluttered – or if we’re going with buzzwords, ‘Marie Kondo-ed’ – over 90 homes. This means giving at least 90 elderly residents a more pleasant home to spend the upcoming Chinese New Year in. Registration began early. At 9am, guest of honour Finance Minister Heng Swee Keat arrived and kicked the event off with a short opening speech. 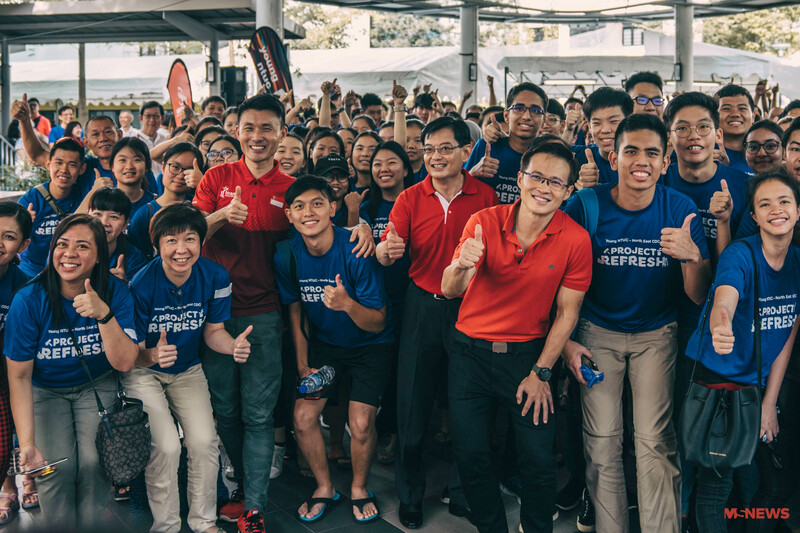 In his characteristically gentle voice, he praised the organisers and the volunteers for giving their entire Sunday to helping others. 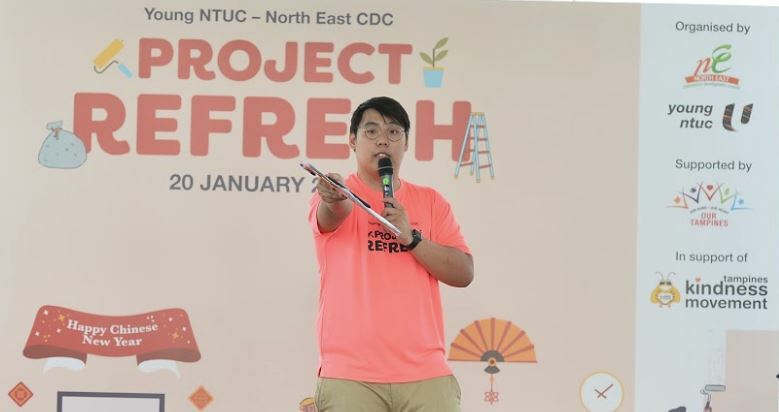 Started in 2016 by Young NTUC, the youth wing of the National Trades Union Congress (NTUC), Project Refresh is held about 4 times a year, usually before major festivals like Chinese New Year, Hari Raya, Deepavali and Christmas. The project was started to revive the kampung spirit in HDB estates. Many residents are aged and living alone, and some are too weak to perform daily household chores. Project Refresh provides an accessible platform for neighbours – or anyone for that matter – to lend a supportive hand. 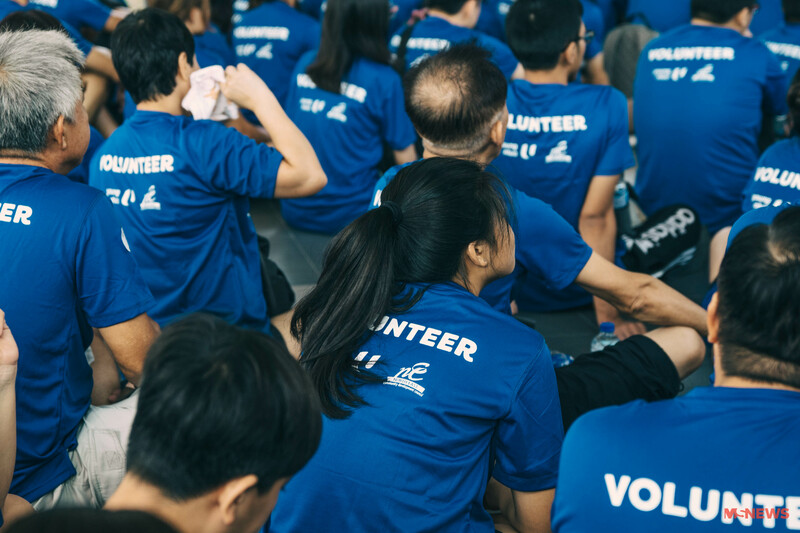 This 12th iteration of the project, spearheaded in collaboration with North East CDC, saw a record number of volunteers — an awe-inspiring 1,000. The volunteers were split into several groups. Some went up to homes to help with the clean up, some handled the logistics, and some gathered at the main tented area to twist, turn and fold old Hong Baos into decorative CNY lanterns. 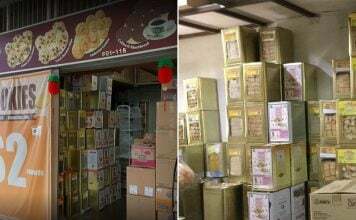 The auspicious-coloured lanterns were then packed into boxes and whisked off for distribution — just like in the kampung days, where neighbours handcrafted and gave each other decorations to put up. Others who had more of an artistic flair were given the opportunity to use water paint. One lucky volunteer even received a pat on the back from our future Prime Minister — likely one he’ll remember for life. The project also featured a kindness mural. 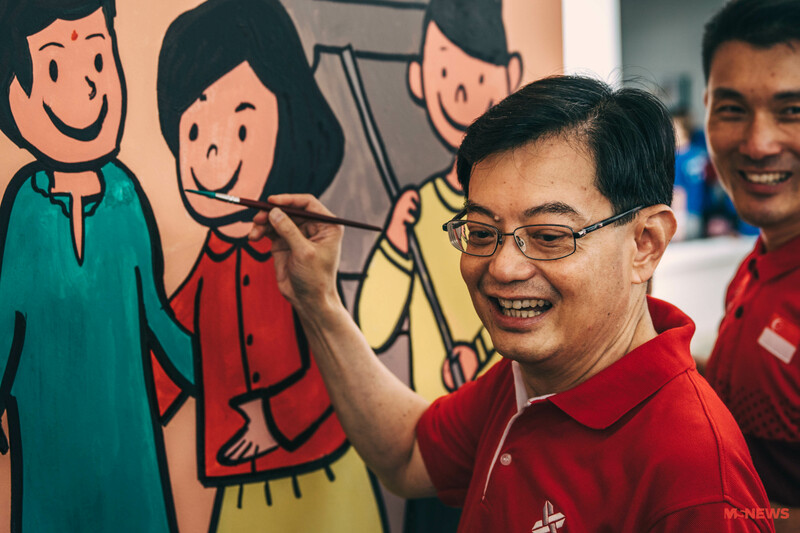 The mural, done in collaboration with Tampines Kindness Movement, was painted by volunteers to encourage friendliness and kindness among neighbours. Mr Heng laid the finishing touches on Sunday. Upstairs, volunteers were rolling paint over walls, scrubbing stains off floors, wiping dust off unseen places, and trying their best to get apartments to look as good as new. All that physical work was surely going to induce hunger. 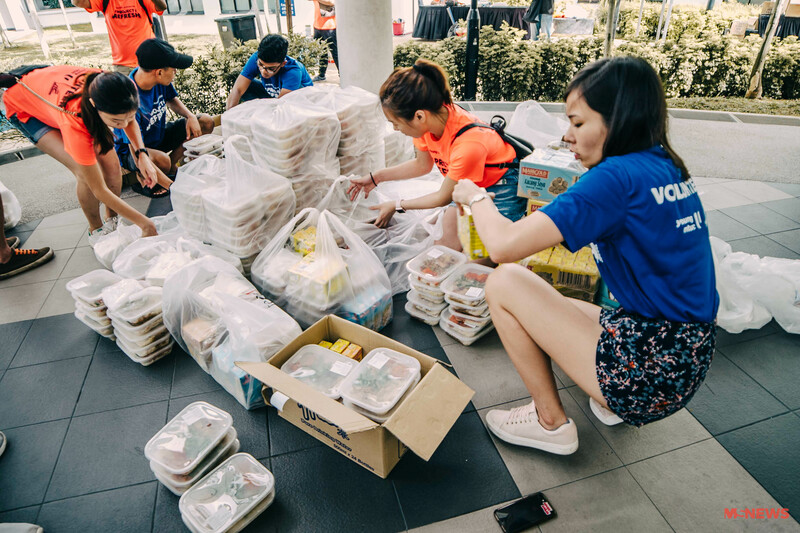 And the organisers certainly weren’t going to let the volunteers starve — not after all the hard work they put in that morning. The residents have to eat lunch as well — so why not have everyone, volunteers and residents, eat together? 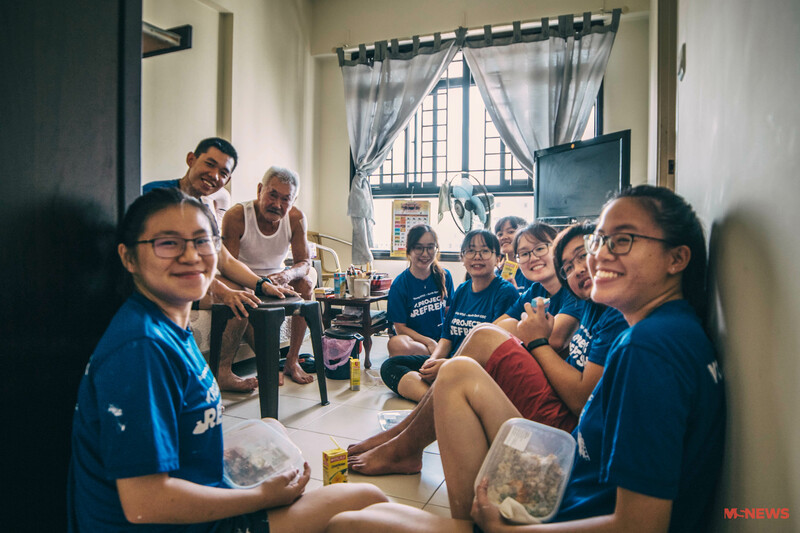 For the elderly resident, it’s good company, and for the young volunteers, they may just learn a useful thing or two about life. Project Refresh spans the entire Tampines, and Tampines is massive. For things to run smoothly, proper planning and good leadership will be necessary. That’s where section leaders step in — or rather step up to the challenge. 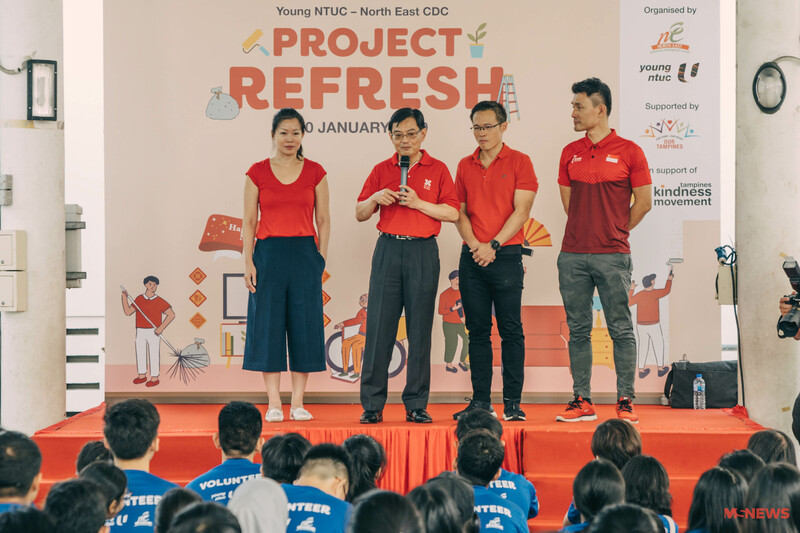 2 young leaders shared with us their motivations for joining Project Refresh and for giving back to the community. 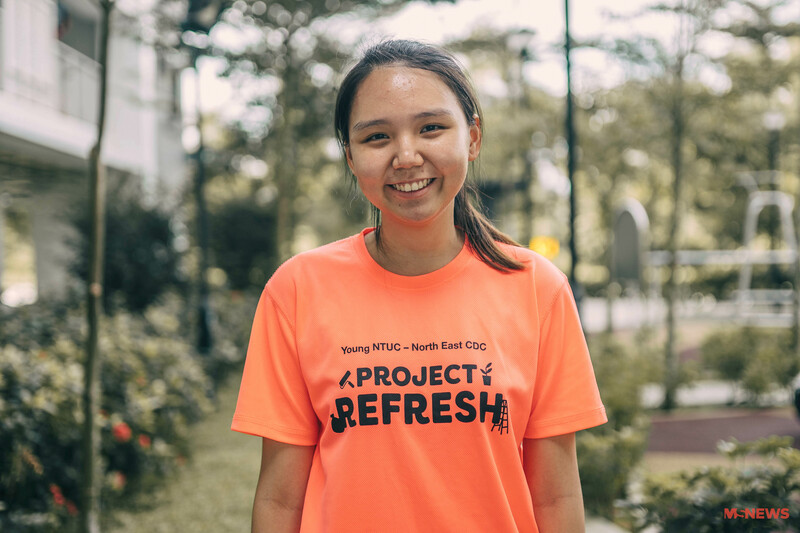 Ashley has been the president of a community service group in Nanyang Technological University (NTU) called Caretalyst for a year and a half. 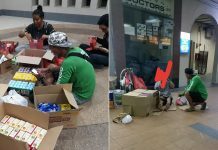 On Sunday, she managed a group of 30 over student-volunteers from NTU — making sure they knew where to go, what to do and had all the supplies they needed. Despite being in the hectic final semester of her uni life, Ashley wasn’t going to just drop all community work. In fact, she was all smiles on the day of Project Refresh. She shared that many times, people are reluctant to do community work because of the commitment involved. 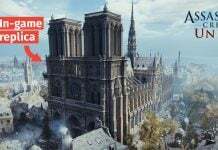 But because Project Refresh happens only a few times a year and people are free to come on board whenever they wish and with whoever they wish, participation rates are generally higher. Also coordinating the project was Damon. The 29-year-old HR manager has participated in a total of 7 Project Refresh sessions since 2016. This time, he went up on stage to give a safety briefing to the volunteers, and for the rest of the day, darted from block to block making sure everything was going smoothly. Being once on the receiving end of community assistance projects, Damon knows exactly how heartwarming it feels to receive help from a stranger. And not just strangers who help out of obligation, but willing strangers with a heart. Now, he wants to do his part and bring that joy to all those out there who need it most. 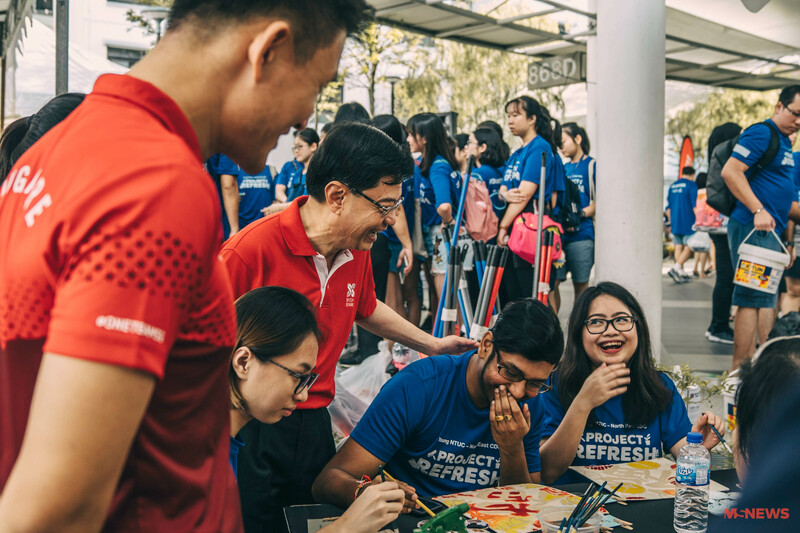 Project Refresh is here for a good cause — to encourage active volunteering by providing an accessible platform for everyone to do so. 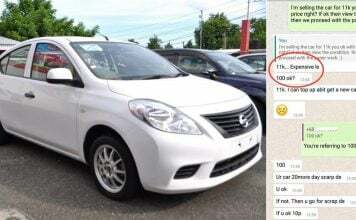 The project comes around just before every festive season. 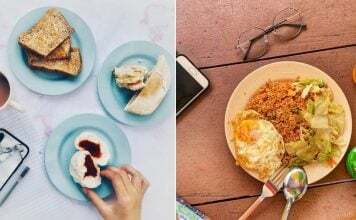 So do keep a lookout for the next one on Young NTUC’s website, which will probably come some time before Hari Raya (5 Jun 2019). 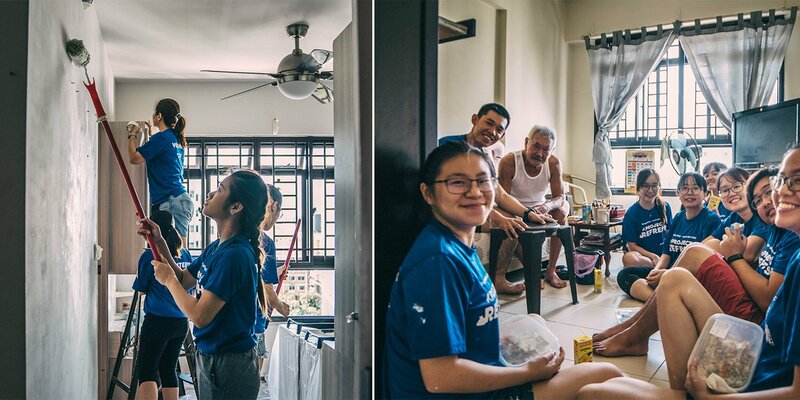 More than a cleaner and tidier house, you’ll be spreading happiness and hope to old folks, who now know that there are people out there who do care about them. This post is brought to you in collaboration with Young NTUC. Photography and featured image by Geron Sum.